Spring is here! Many homeowners are thinking about ways to improve their homes and that could be anything from selecting some fresh pillows to update a living space to remodeling a bathroom to a full-home remodel! 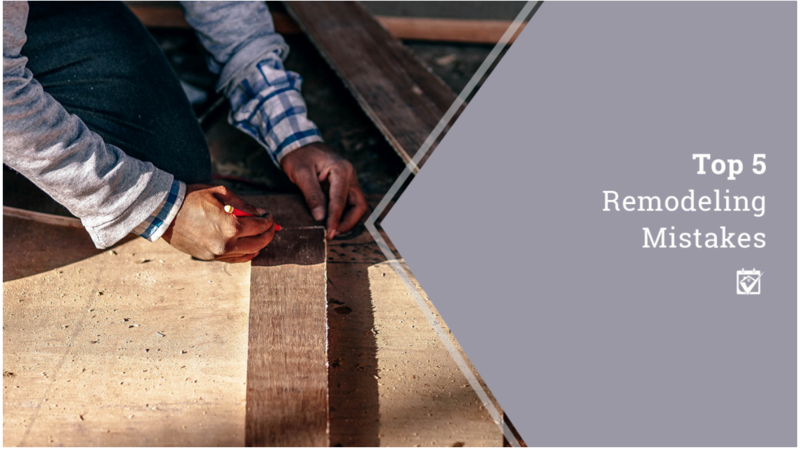 If you are thinking about making any construction updates to your home, check out these top 5 remodeling mistakes so you can breeze through your project with peace of mind!